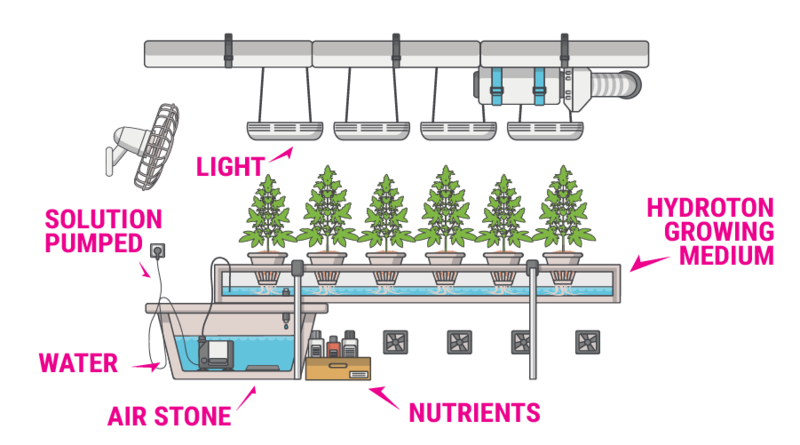 Hydroponics is a method of cultivating plants, specifically cannabis in this case, in a solution of water and nutrients. Hydroponics is a method of cultivating plants, specifically cannabis in this case, in a solution of water and nutrients. This can be done with or without the help of an inert medium such as grow rock, sand, gravel or rock wood. By definition, however, the plants are grown without soil. Plants inevitably grow well when they have exactly what they need, when they need it and in the precise amounts in which they need it. With soil, this is a difficult task. This is because soil is an ecosystem unto itself with changing bacteria, pH and nutrient quantities. With hydroponics, those variables are eliminated. The pH, nutrient levels and temperature are easily controlled. When starting out, the first thing to do is decide whether to use an inert material. If you do decide to use one, you also need to choose and procure the type you desire. A careful cleaning is then required to protect the plant. 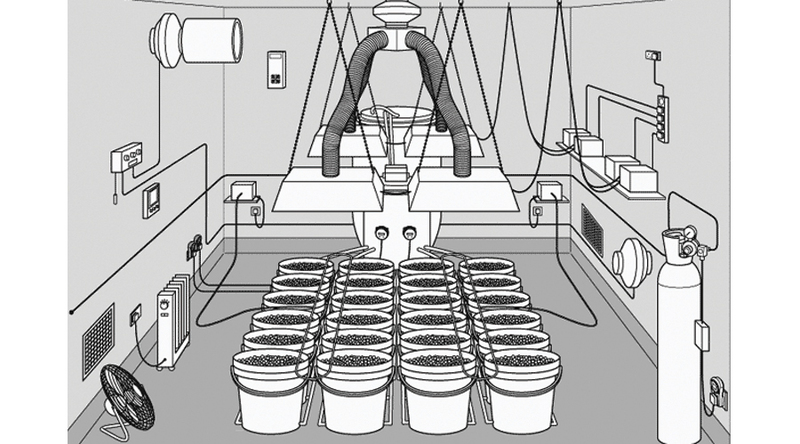 Growing without an inert medium, known as the nutrient film technique, or N.F.T., is a commonly practiced form of hydroponics. It involves placing a plant's roots directly into a constantly moving film of nutrient enriched water. The grower uses landscaping fabric or other medium to cover the roots, blocking light. If you do decide to use an inert material, there are several to choose from. Basic choices include gravel and sand. These are easily procured but difficult to clean and not reusable. Other choices include rockwool, oasis cubes and coco. The most popular, however, are expanded clay (also known as pop rocks) and lava rocks. Both of the most popular types are porous and have a neutral pH. They are easily cleaned and reusable. Both work well for systems that have good irrigation. Aside from that, each have advantages dependent on the system being used. Lava Rocks are easily procured and relatively cheap. It is sold in the landscaping area of a home improvement store in large bags containing huge chunks of red, very porous rock. They work well in any system that benefits from the stability of a large, heavy medium. They prevent large plants from shifting and damaging the roots. Being larger, they can also be arranged to anchor items like air stones, drip lines, stakes and more. To prepare lava rocks, you must soak them for three to five days. After this, they must be rinsed prior to use. After use, they must be methodically cleaned. For some growers, it is easier to simply buy new lava rocks between uses. Pop Rocks are small, round balls of pelletized, fired shale. It holds and transmits water well. The balls are evenly sized and easier to clean. This material works well in most set-ups. Many consider this the ideal medium for hydroponics. The even sizing of the pellets provides plenty of space for water and for root growth. Also, the clay repels water but the surface tension causes each ball to retain a thin coating of water. To prepare, simply rinse the pop rocks well. The high temperatures of the firing process sterilizes the clay. However, mold can form in the bags. The only disadvantage to this medium is that it can be difficult to get. 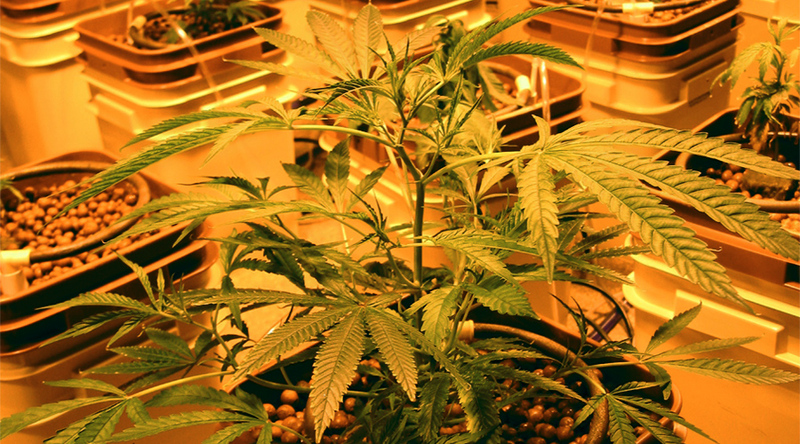 To get started with hydroponics, it is important to set up a system that meets your needs. It is possible, although expensive, to buy a kit that contains everything needed. It more cost effective and individual to create a kit that meets your needs by picking and choosing the perfect equipment and materials. For many, individual pots set into a larger water system works out well. Mesh pots work best for this. Then, an air pump, air hose and air stone designed for an aquarium are added to aerate the water. The air bubbles that are created and popped will keep your inert material moist and provide nutrients to your plants. This is an example of an aeroponic system. Other set-ups include drip, ebb and flow, water culture and wick. Each set-up requires specific materials. In general, however, all set-ups need several things. These include a growing chamber or tray, a reservoir, a submersible pump, a delivery system, a simple time and a set of grow lights. Other materials, used for monitoring temperature and pH are individual to the set-up. Regardless of the materials needed for the chosen set-up, the beginning stages of set-up are the same. The materials must be sterilized to kill any bacteria. This is done with a combination of rubbing alcohol, water and peroxide. Misting with alcohol and then wiping with hot water and adding one and a half ounces of peroxide should do the trick. After the materials are sterilized, they can be prepped according to the instructions for the particular system. Be sure to follow the instructions to the letter. After the system is prepped, plants can be placed. Once the system is set up and plants are placed, the real work begins. Regardless of the type of system, there are things that must be done on a daily and weekly basis. Testing pH, sterilizing equipment, inspection of plants and equipment and other tasks must be done regularly. On a daily basis, plants must be checked for disease, pH must be tested and the testing equipment must be sterilized between systems as well as before and after. On a weekly basis, nutrient solution should be changed. When this happens, all pumps, filters, gaskets, strainers, air stones and other equipment should also be cleaned. One of the most important parts of the hydroponic system is the ability to control the pH. For some, this means shooting for a specific number. Research, however, shows us that it is more important to shoot for a range. Nutrient availability is at its best when pH is slightly acidic. Because of this, it is best to shoot for a pH between 5.5 and 5.8. Unfortunately, it can be difficult to maintain this level. The best method for identifying and altering a pH that is out of whack is to monitor daily and change the solution weekly. Solution can be changed more often if warranted. The thought of starting out in hydroponics is scary but it can be done. In fact, it is much easier than it seems. Hopefully this guide will be helpful in setting up and maintaining your hydroponics system.